For more than 50 years the famed silhouette of the M16/M4 has only had one major and several minor changes. Barrel lengths and buttstocks have changed, but more or less the evolution of America’s right arm has proceeded apace with each generation of warrior making her their own. In that time, the sight of the M16/M4 in the competent grasp of young Americans has meant hope to countless millions of people around the globe. With the advent of the USASOC URGI, that quintessentially American silhouette has changed forever. 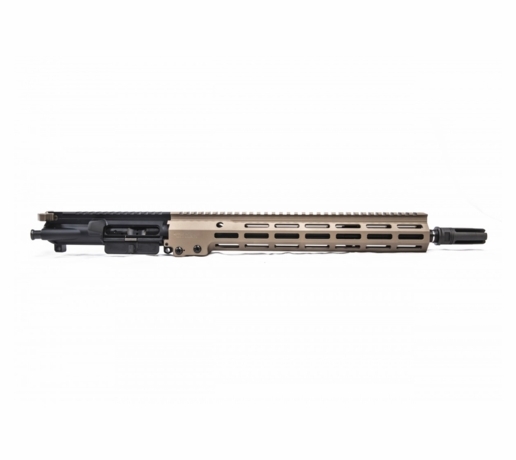 The Geissele Super Modular Rail MK 16 handguard, hammer forged barrel, and mid-length gas system work in concert for a package that delivers measurable increases in hit probability. Designed to take the full rigors of the new M855A1 (AB57) ammunition, the USASOC URGI also takes full advantage of its capabilities. Once the USASOC URGI is installed on an existing system, it essentially makes for a brand new weapon. 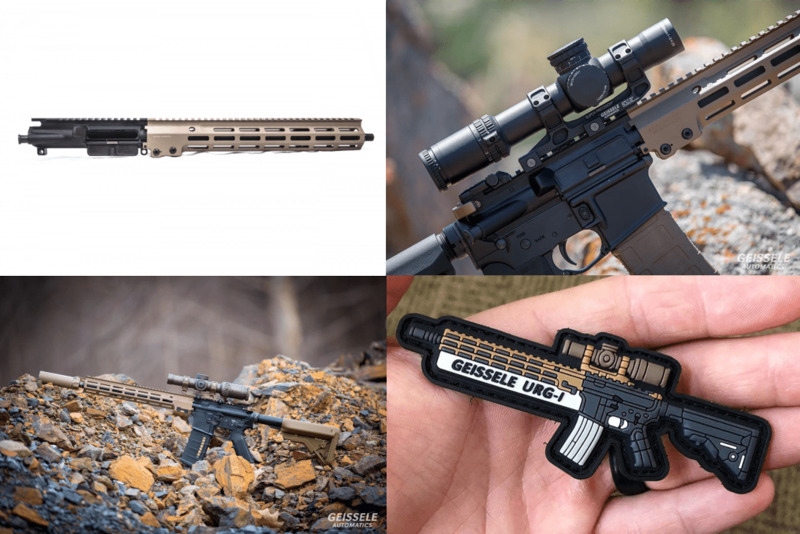 The USASOC URGI is a near-clone upper receiver group currently going into service with USASOC. • Geissele SMR MK16, DDC, 13.5"
• Geissele Super 42 Braided Wire Buffer Spring and Buffer Combo included while supplies last! Limited edition URG-I Patches included for both models while supplies last! Made in USA. NFA DISCLAIMER/WARNING: The non-pinned and welded clone URGI upper receiver does not meet the 16" minimum barrel length requirement, and requires registration and a tax stamp with the Bureau of Alcohol, Tobacco, Firearms and Explosives (BATFE) when assembled into a complete rifle. Additional state and local restrictions may apply. It is the sole responsibility of the buyer to comply with any and all applicable laws. UPS Shipping Options ONLY, No $5 Flat Rate Shipping for this Item.